Noni is a fruit from a small evergreen tree called Morinda Citrifolia which belongs to the coffee family, Rubiaceae. 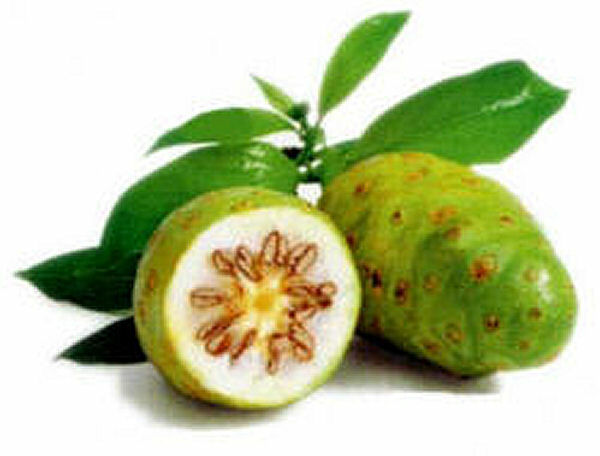 Noni is also known as Cheese Fruit, Indian Mulberry, Beach Mulberry, Hog Apple, Canary Wood and Great Morinda. The tree is indigenous to Southeast Asia, Australia and the Caribbean, but the Polynesian region is currently considered to be the biggest exporter of raw Noni. Noni fruit is known to contain many beneficial ingredients including vitamin A, vitamin C, Niacin, iron, calcium, sodium, magnesium, and a significant amount of potassium. It also contains a number of phyto-nutrients and phytochemicals such as alkaloids, lignans, flavonoids, fatty acids, iridoids, catechin and scopoletin, as well as sterols, carbohydrates and dietary fibers. These components make Noni fruit an ideal home remedy for many health conditions. In fact, the fruit is so versatile that almost every part of the Noni tree including its juice, fruit, flowers, seeds, leaves, stems, bark and roots are all used in various forms of cooking recipes, herbal remedies, supplements, medicines, and ointments. The fruit is also often used as a temporary natural dye for clothes and hair. What are the Benefits of Noni? Noni fruit contains many types of phytochemicals, macronutrients and proxeronine that may help promote the secretion of digestive enzymes. In turn, this can help stimulate and support the digestive system and help to breakdown food for its efficient conversion into nutrients. Noni's anti-inflammatory and antibacterial properties may also help relieve the symptoms of peptic ulcer and other bacterial infections. Therefore, Noni fruit and its juice can be used to improve digestive function, cleanse the digestive tract, treat irritable bowel movement (IBS) and constipation. Simply consuming one Noni fruit or drinking one ounce of organic Noni juice every day about 30 minutes before breakfast may be beneficial for treating such digestive problems. Noni fruit contains antioxidants and anti-inflammatory properties that may help regenerate and repair damaged skin cells and rejuvenate aging skin. Due to its healing properties, the oral application of Noni can also help with redness, rashes, roughness and chapping of the skin and keep the skin smooth and younger looking. Simply eating fresh Noni fruit or drinking one ounce of Noni juice daily may help. Also applying the pulp of noni fruit onto affected skin may be beneficial and work as a wonderful natural emollient. Noni fruit is known for its anti-inflammatory properties. 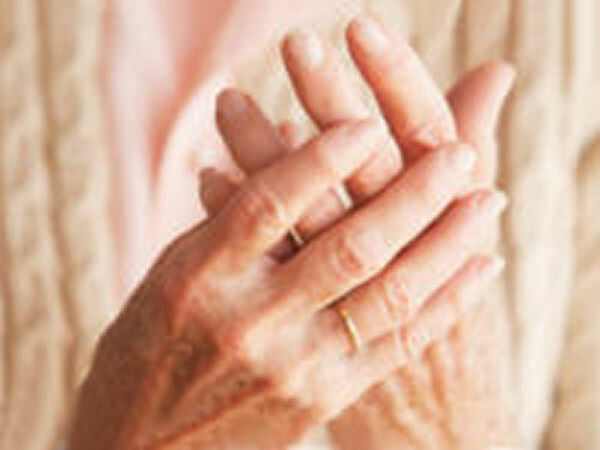 Therefore, it can be an effective natural remedy for Rheumatoid Arthritis. A simple remedy is to eat one Noni fruit or take one capsule of dried Noni powder each day. Alternatively, the crushed leaves of Noni can be wrapped onto affected joints to alleviate the discomfort caused by arthritis. Noni is rich in potassium which is known to help alleviate the symptoms of migraine headaches as well as regular headaches. Drinking one ounce of organic Noni juice or taking one capsule of Noni fruit dried powder at the onset of a headache may be beneficial. This remedy is also suitable for hangover headaches. The anti-inflammatory and anti-aggregatory activity of Noni fruit prevents red blood cells from clustering together and promotes better cardiovascular and arterial health. Noni juice may promote the production of nitric oxide which helps relax and expand blood vessels which is beneficial for overall cardiac health and reduces the risks of heart attack and many other heart conditions. Noni contains scopoletin, magnesium, sterols as well as different kinds of anti-oxidants which may help with high blood pressure, angina, muscle convulsion, heart rhythm disorder, high cholesterol levels and arteriosclerosis. Therefore, taking one capsule of dried Noni powder everyday may be beneficial for overall cardiac health. Noni fruit contains Scopoletin which acts as an antihistamine. Therefore, Noni fruit has been effectively used in the treatment of many allergic symptoms such as skin rashes, hives, itchiness, asthma, nasal congestion, watery red eyes, and hay fever. A simple allergy remedy is to take one capsule of Noni fruit powder daily. Research shows that the deterioration of substantia nigra, a spot in the centre of the brain, leads to many neurological diseases. A few studies suggest that the medicinal properties of Noni fruit may help with cellular regeneration of substantia nigra by stimulating the pineal gland. Studies also show that cellular regeneration of the substantia nigra can reverse many serious symptoms caused by neurological diseases. Since Noni fruit is known to stimulate the pineal gland and promote the release of serotonin and melatonin hormones, it may be beneficial for many autoimmune and neurological diseases such as Alzheimer's disease, Multiple Sclerosis, Parkinson's Disease, Autoimmune hepatitis, Inflammatory Bowel Disease (IBD), Celiac Disease, Psoriasis, and Epilepsy. A simple remedy is to drink one ounce of organic Noni juice or to take one to two capsules of dried Noni fruit powder everyday. However, if you are suffering from one of these conditions, it is recommended to consult your physician before taking Noni or any other herbal supplement. What are the Side Effects of Noni? Noni fruit, its juice, and dried powder don't have any known adverse side effects. However, since Noni fruit is high in potassium, it is not recommended for people with kidney disease and hyperkalemia. Noni fruit and its supplements should be avoided by patients suffering from liver disease, hepatitis, fibrosis, and by pregnant women. If you are taking any other medication or supplement, it is recommended to consult your healthcare provider before taking Noni supplements. Fresh Noni fruit can be purchased at many Asian grocery stores. When buying Noni fruit, choose one that is light yellow in colour. If Noni is green in colour, keep it at room temperature until the colour changes to light yellow for a better taste. Noni fruit juice and its dried powder can be purchased at many herbal food stores. When buying Noni juice, check that PH levels in the juice are between 3 and 5. I have used Noni in the past and got excellent results in all areas. I am now suffering with IBS, and thought about Noni, I will be picking up some ASAP. Drinking Noni juice is a wonderful drink with a myriad of benefits. It's good for joints, the mood, and male sexual function. It energizes you, when you are tired but when you need a deep restful sleep, you get that too. Just make sure it's 100% noni juice, preferably raw, and not the sweetened, and adulterated one - although even that will give you some benefit. Most of the commercial Noni juice is useless - look for the organic one. I am suffering from gastric ulcer. How can I use Noni fruit to treat it? Thanks. Noni is a kind of panacea!!! Noni Fruit is a wonderful fruit. It's a good natural food supplement! Noni is a very powerful juice for everyone. In India, where we can buy Noni? Noni juice is good for eye problems. Noni fruit is very good, it helps me with bowel movement. I am having a toothache. I applied Noni juice and it helped a lot.